Chinese spacemen no match for NASA – or are they? In the draft speech Griffin warned in strong terms that Beijing’s space ambitions may hit hard on the U.S. image worldwide. “A Chinese landing on the Moon prior to our own return will create a stark perception that the U.S. lags behind not only Russia, but also China, in space,” he wrote. The White House Office of Management and Budget (OMB) reviewed the document and deleted several passages before it went to Congress in March dropping out most of its sense of urgency, reports the Washington Post. Griffin was quick to tone down his comments after the original text leaked last week, saying he valued advice from the OMB and the White House Office of Science and Technology Policy (OSTP), but two senior NASA officials told the newspaper that it accurately reflected the growing strains. China became the third nation in the world capable of launching manned space vehicles in 2003. 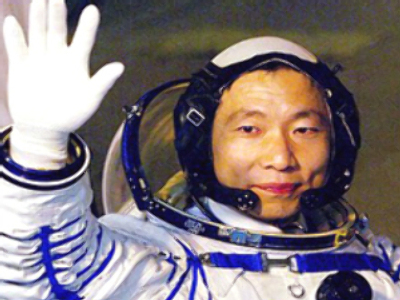 Yang Liwei spent 21 hours in Earths orbit in the Shenzhou 5 spacecraft marking a remarkable breakthrough for the country. The second launch took place in 2005. A third one is scheduled for September 25 this year. Among Beijing’s more distant space projects is a mission to the Moon. China has already launched its first lunar orbiting spacecraft Chang'e 1, which probed space between Earth and the Moon and mapped spots for future landings. A manned expedition is planned for 2024. No American crew on the ISS? The tension between the U.S. and Russia that followed the South Ossetian war has cast doubts over the American mission to the International Space Station. NASA scraps the Space Shuttle programme in 2010, with only the Russian Souz spacecraft remaining to take the ISS crews into orbit for at least five years. With the relations between the two countries at a low, there are fears that the U.S. Congress may ban NASA from buying the rides from Russia thus making Americans drop out of the multibillion dollar project. Griffin was very vocal when voicing his concerns over the issue.